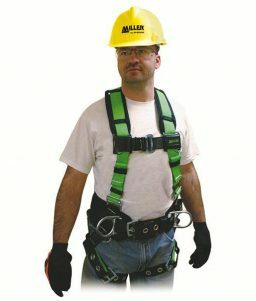 This Evotech Full Body Harness meets OSHA and ANSI A10.32 standards for fall protection safety. 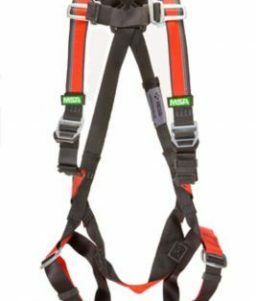 This Evotech safety harness has ergonomic features that improve on the job comfort, durability, ease of use, and overall safety. Moisture-wicking material with breathable padding is an available option for warmer climates to keep you cooler on the job. Built in shoulder padding is designed with no binding edges to prevent neck chafing. Putting this full body harness on is easy with its’ dual-color webbing-red on outside, black on inside-and allows for easy identification of twisted webbing. Improved visibility with integrated reflective piping added to the harness webbing for low-light environments. Includes a three-position, back D-ring. 400 lb capacity. Red/Black. 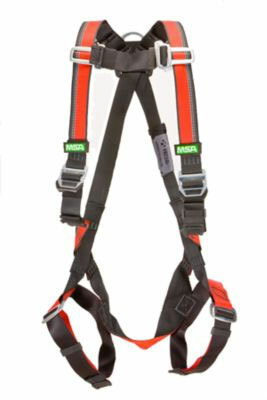 The Evotech Full Body Safety Harness is available in two sizes: Standard and XL. Please select your size preference from the drop-down menu before adding it to your cart.